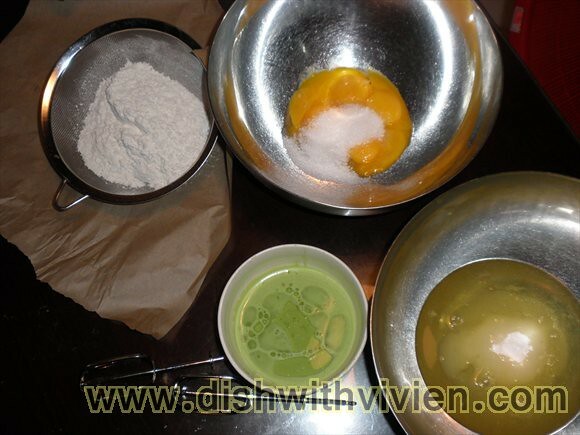 Pandan Chiffon Recipe taken from My Food Trail, whereas Coconut Chiffon Recipe taken from The Kitchen 70′s. Yet to find one chiffon which i really like, both chiffon taste similar due to usage of coconut milk which tasted sweet and oily, not to my liking. 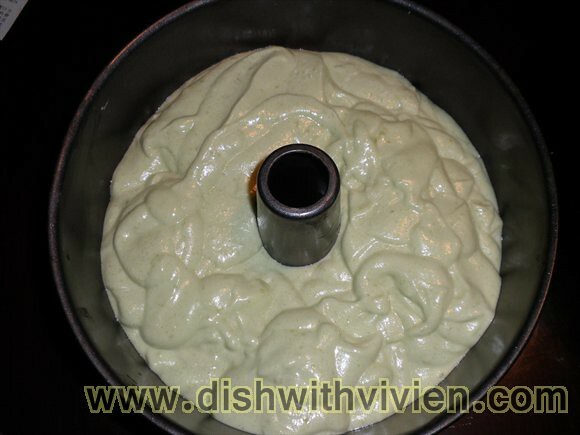 For pandan chiffon, I reduced the sugar to 50g + 110g instead of 80g + 125g. 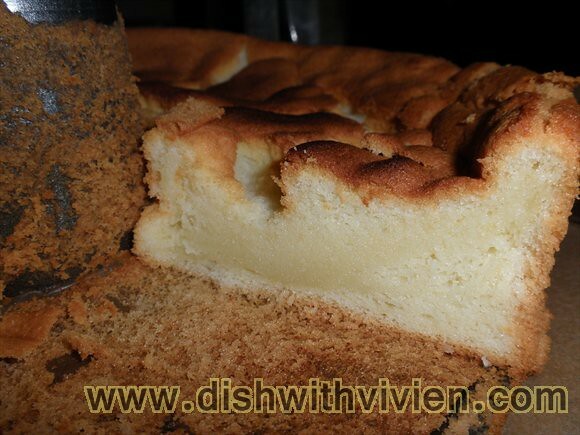 For coconut chiffon, I baked it at 170C for 25 minutes and later covered it with alum foil on top and further baked at 150C for 15minutes. The cake have seized and shrunk after i open the oven to put the alum foil 🙁 Just have to remember never or best not to open the oven for chiffon cake baking. 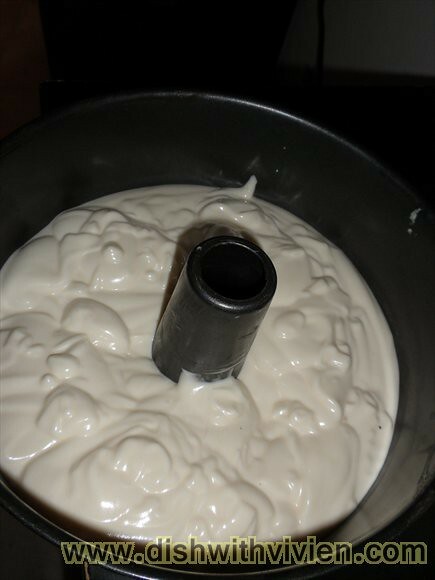 1) Not beat egg white till stiff peaks else it will be hard to incorporate into egg yolk mixture, soft peaks is enough. 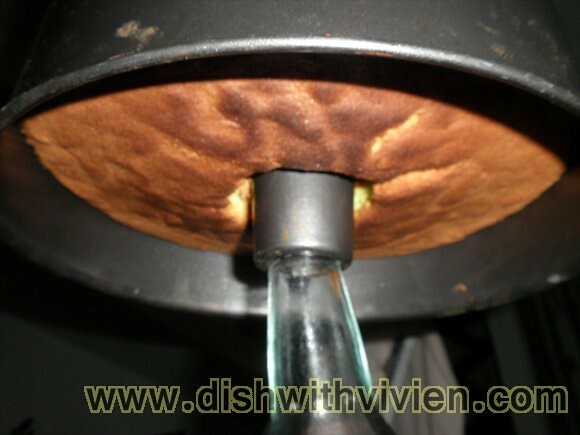 3) (most important) Chiffon cake must be inverted immediately after taking it out from oven and must be cooled inverted(2 hours to be safe) before removing it from the mold. This is to ensure it will not collapse and become a dense cake, case in point happened on 1st and 2nd attempt. 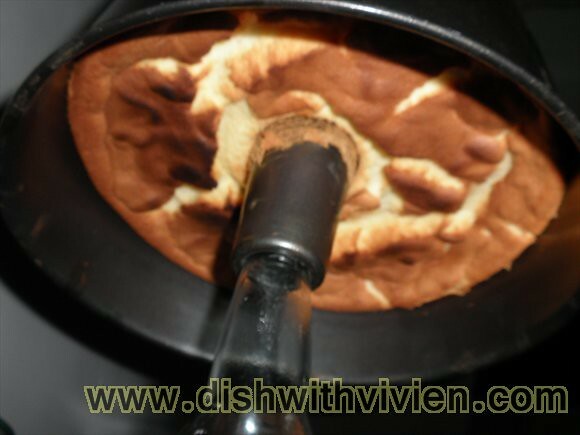 4) Also very important, do not open the oven too long that the cake collapse even when still being baked in the oven, case in point my first and second try, both cake “shrunk”/collapsed even in the oven after i did the toothpick test. For the 3rd attempt, i didn’t do the toothpick test at all. much better than coconut one texture wise although i find it is still a bit rough, and egg white pockets visible as seen in above due to beaten till hard peak. 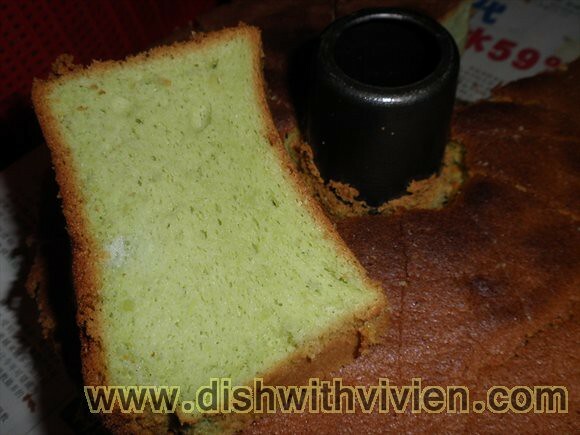 I love Pandan Chiffon. Thanks for sharing the tips.